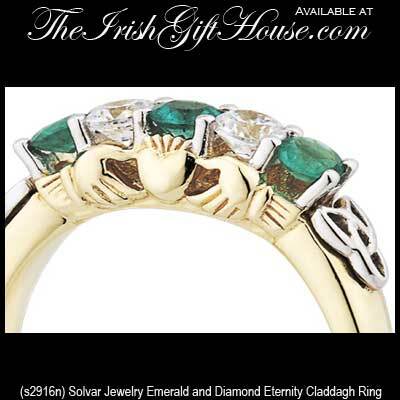 This Claddagh ring is crafted in 14K yellow gold and it is in the eternity style with 3 solitaire emeralds and 2 solitaire diamonds. 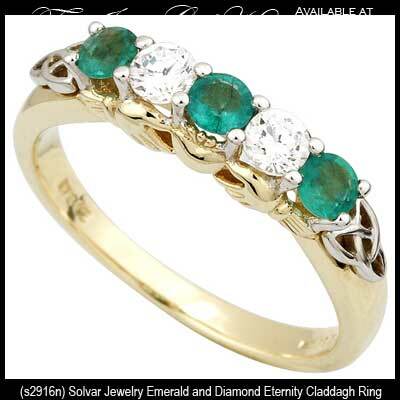 The 3 emeralds have a 0.40 caret weight and the total diamond weight on this Celtic eternity ring is 0.20ct with a clarity grade of SI and H - I on the color scale. 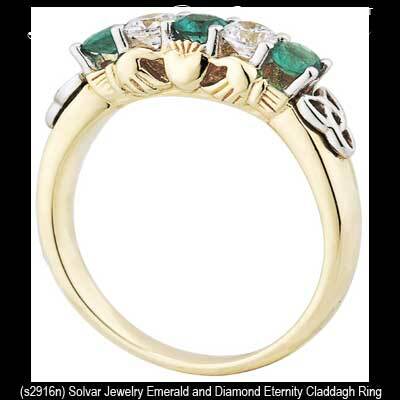 The Claddagh symbol is present on both sides of the ring and there are Trinity knots in 14K white gold on both sides of the emeralds.